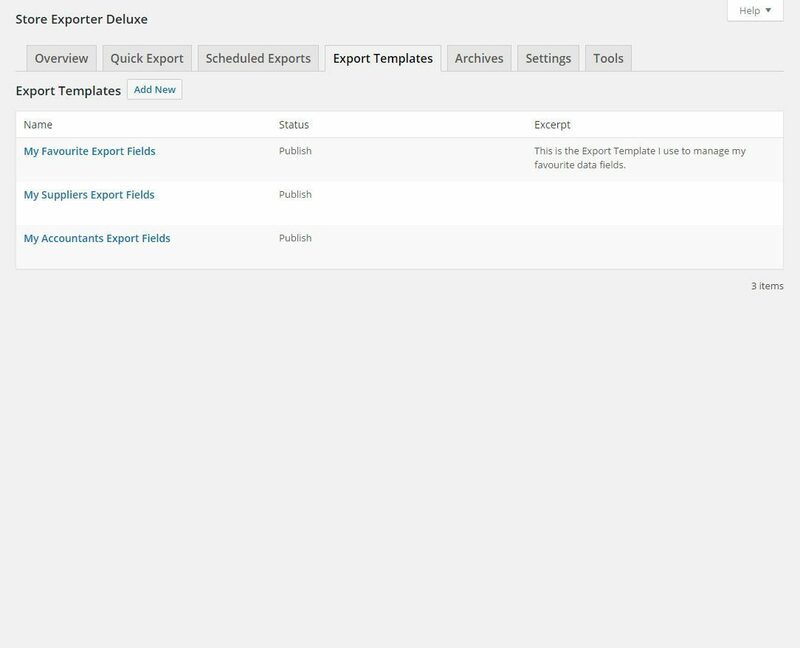 – Order Filters – in the current release you can’s save them or use them as part of a Scheduled Export. 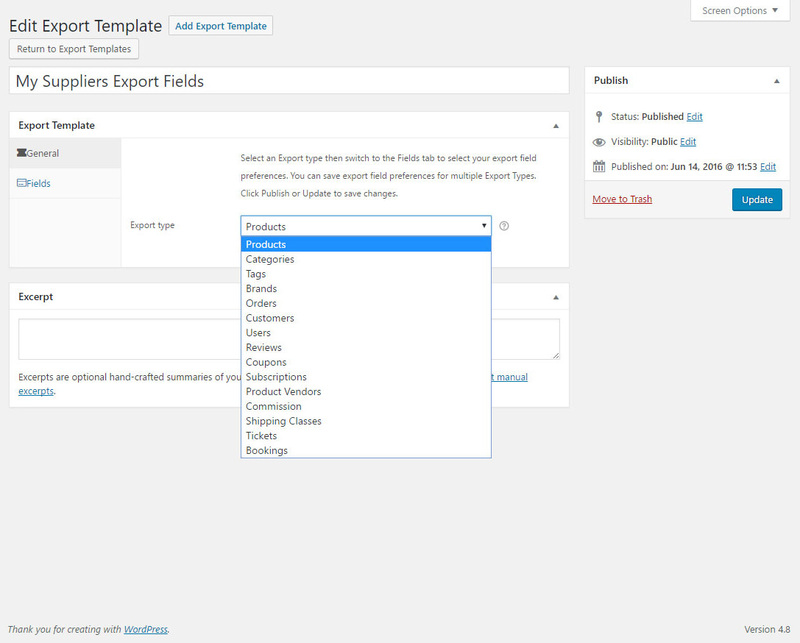 I’d like to be able to save them on the Export tab (manual export) and use them as part of the Scheduled Exports function (Settings/Scheduled Exports). 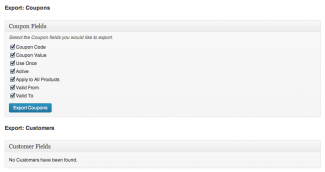 – Multiple Export configurations – in the current release, you can have only one. Would like to have multiple configs . . . with different fields and filters if possible. 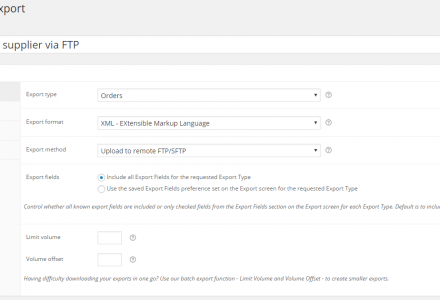 – Specify Directory for Exports (Archives) – rather than drop the files into the standard WP media directory, I’d like to be able to specify a target directory. 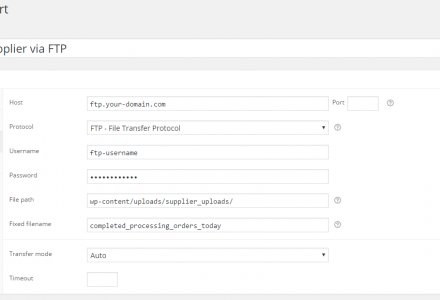 That way, I can use a plugin like File Away (https://wordpress.org/plugins/file-away/) to share the Exports via a web page without also sharing all other media files. Let me know if these can make their way onto the roadmap. 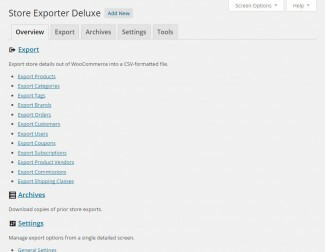 I am interested in buying Store Exporter Deluxe plugin for my WooCommerce website. I have tried already tried the free version of the plugin and facing an issue. 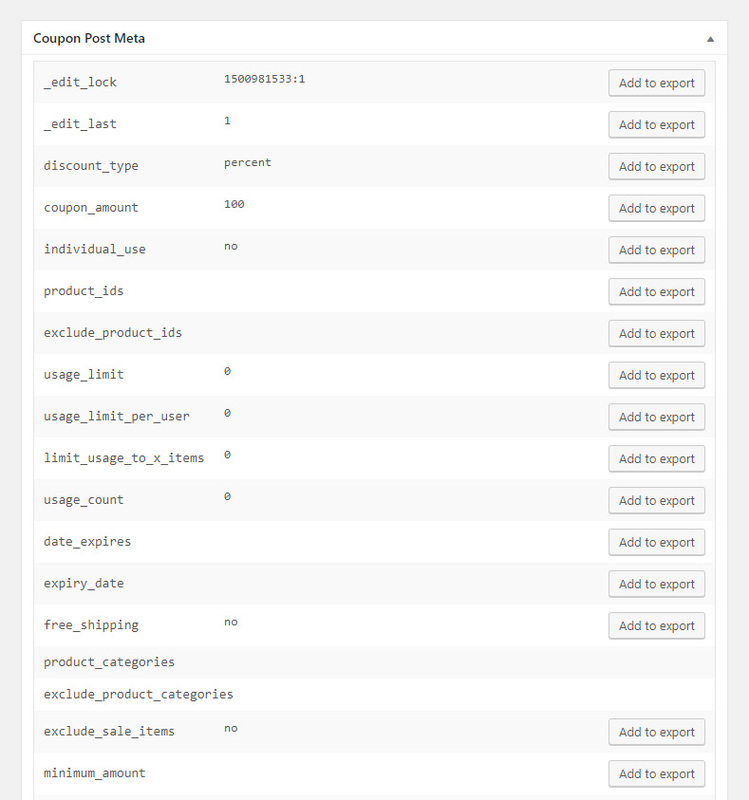 I am exporting products to CSV and each time I do the data appears all messed up. This is because I have used commas and returns (new lines) in description and excerpt. I am primarily interested in using the XML type product feed. I want to make sure that the exported data appears the way it is expected, not as appeared in CSV format exported via free version. Can I be assured that the plugin will work perfectly? 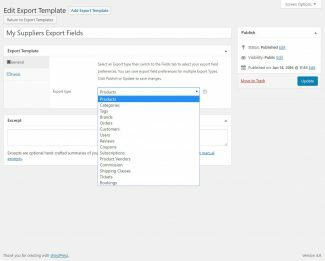 Hi Sumit, if it doesn’t we’ll send those funds back to you, in the next Plugin update we wrap HTML fields within CDATA’s to keep their original structure. The importer works on my wordpress site but the accents (in French) don’t export well… for instance Gagné turns into GagnÃ© – what setting should I change to get the proper entries? Hi alex, have you checked that the File Encoding option under Settings tab is set to UTF-8? Also, is it just when importing Products that the accents are stripped or within Excel/your preferred spreadsheet editor? Hi Mike! Yup Encoding is in UTF-8. I tried exporting to CSV and open with Apple Numbers and all characters are fine. However since my client mostly uses Excel – where I think the issue resides – do you know what setting to change so that characters show up properly? CSV and Excel is never easy, we test against Excel 2013 which picks up the UTF-8 character encoding and initial BOM character perfectly, other releases of Excel… not so much. Your client can manually open the CSV by creating a new spreadsheet and selecting Data > Import from file then setting the File Encoding to UTF-8 to view and edit the spreadsheet within an older release of Excel, alternatively get them to install Open Office just for spreadsheet management. The plugin looks perfect and with a lot of options. 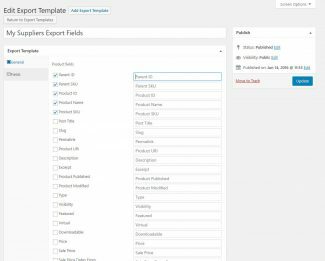 But is it possible to add custom fields to the export? Hi! 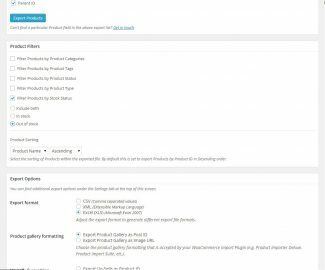 Considering your product….looks like it’ll help with all reporting I’d like to pull from woocommerce, including customer emails, and order info. Quick question, though. I’d like to run a report on orders by attribute to help me get a handle on inventory. 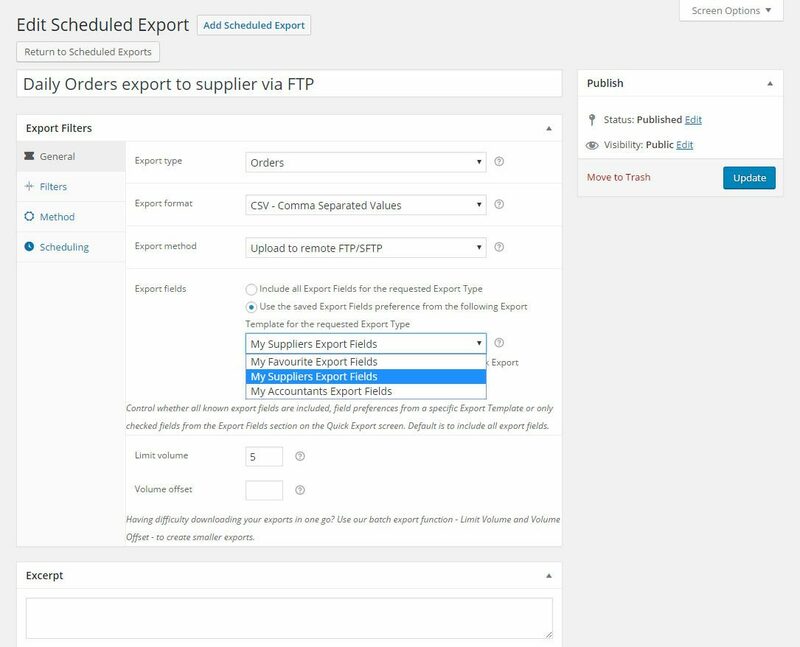 If I export orders that have multiple products, will each product purchased export to a new row or are all products included in one row for each order? Ultimately, I want to sort and subtotal counts for attributes ordered so I need a separate row for each product ordered. Thanks for your help!!! Hi there, this is a pre-purchase question. 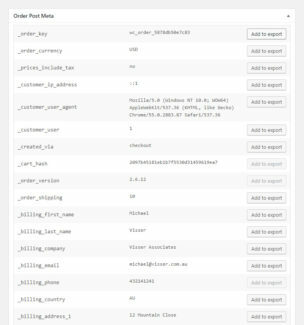 When exporting orders, will I be able to see which category each product item belongs to? And if a product belong to multiple categories, can I sort by category? Thanks! 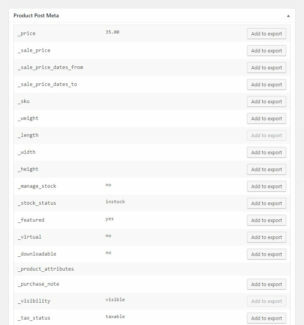 Is it possible to export list of people who ordered a concrete product and a specific variation? (f.e black t-shirt, size L). 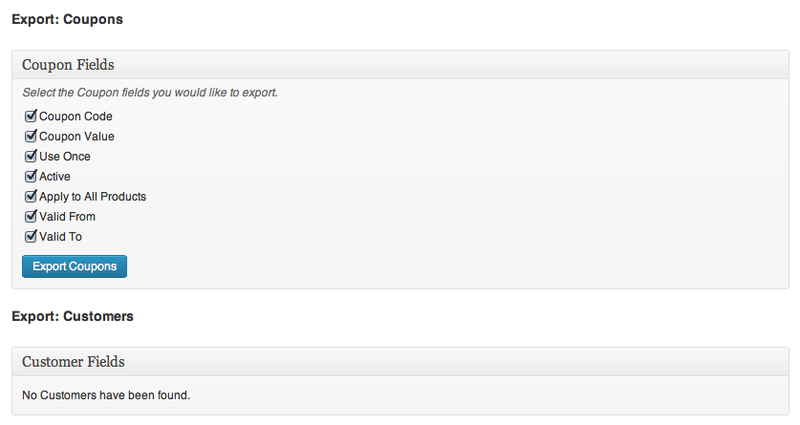 Even though I just bought an export from CodeCanyon, your solution looks like a better fit. 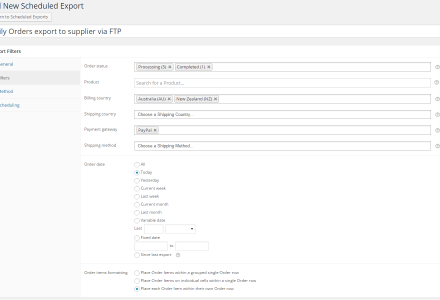 However, I need to know if the actual card type data can be exported when I export orders? For example, we use the braintree payment gateway to accept card types: visa, mastercard, american express and discover (I also take paypal). I need the export file to list the actual card type, not just list the gatway (for paypal, listing paypal only is fine). Does your plugin do this? 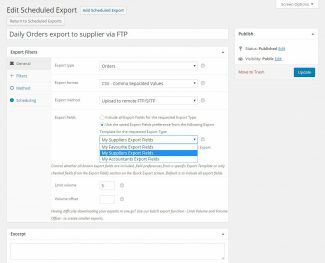 Secondly, any chance you can make is so that we can choose to only export only completed orders (for braintree payments) and paypal orders (all) received since the last export? This latter feature would be amazing since it would enable me to create an accounting system for a high volume website that merely parsed data from an excel sheet. I am about to launch a site which will sell subscriptions and one-off products. 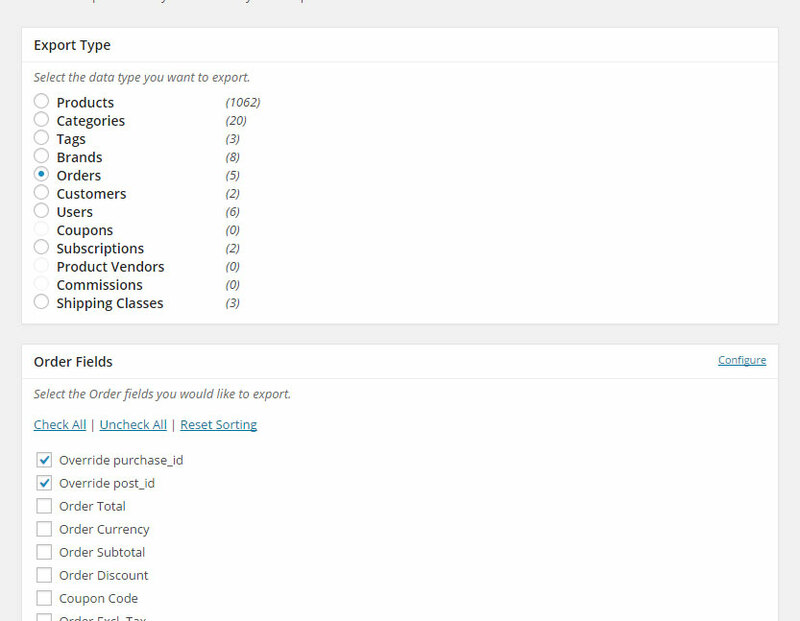 I need an exporter where I can choose to export either the subscriptions, or the non-subscriptions, or both combined. 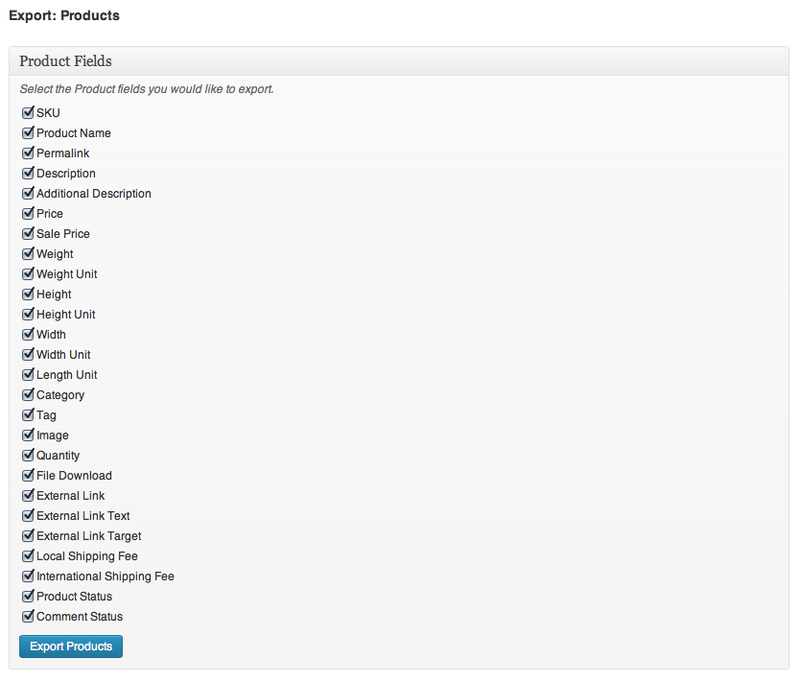 I’d also like to be able to sort by SKU (which I’m pretty sure is one of the available columns on your plugin). 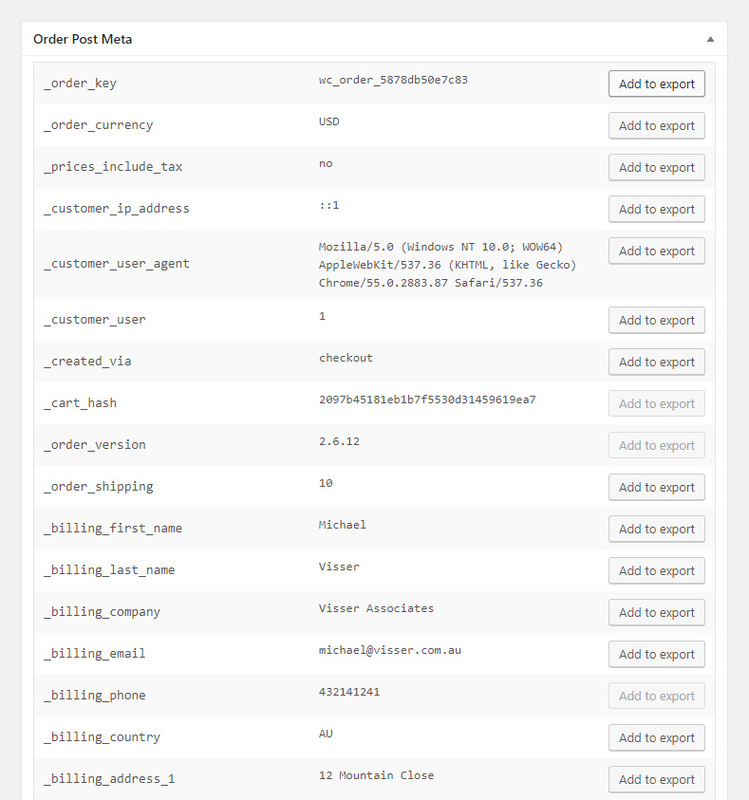 One of the main things I needed to check was, when exporting subscriptions, I need to have the customer details as well, as I mail out physical products. Is this possible on one spreadsheet? 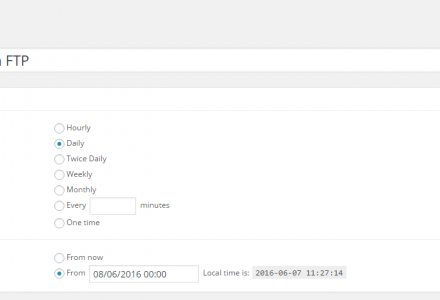 subscription orders with SKU and customer shipping details? 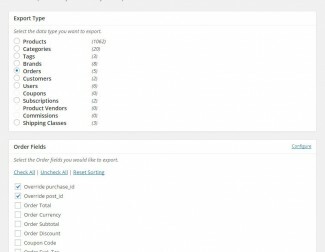 I’m looking for plugins that will help manage WooCommerce Subscriptions/Subscribers – can you give any more information on how this plugin can help? 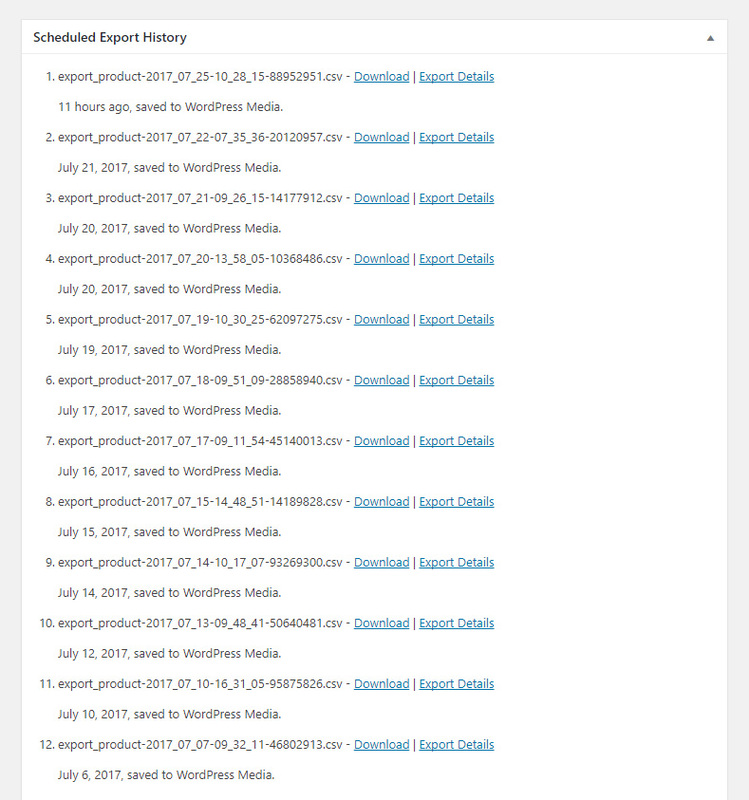 What information does it export related to subscriptions? 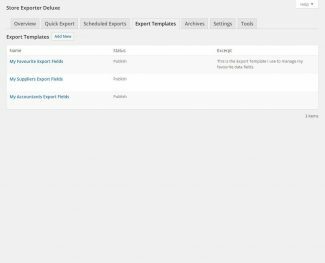 Is it able to filter current subscribers and export them as a CSV etc? 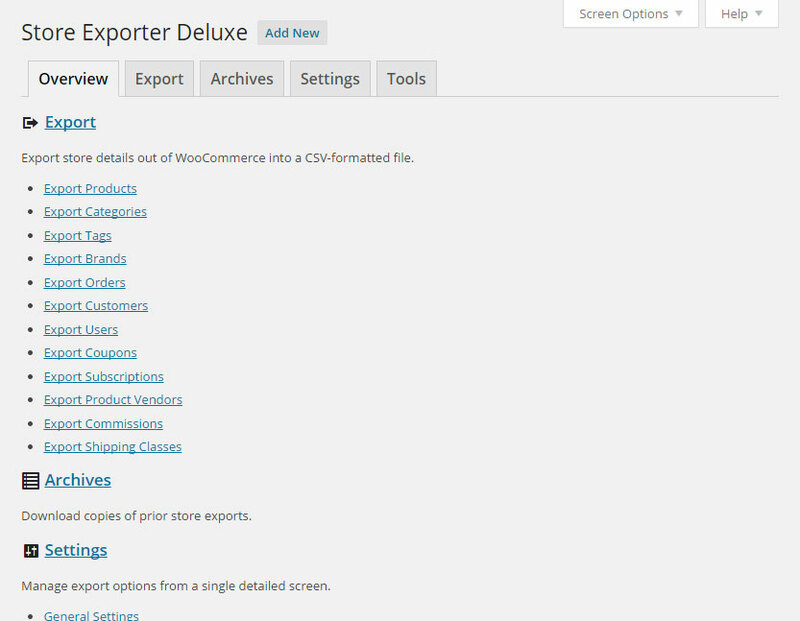 We are evaluating this Store Exporter Deluxe plugin for a project we have started. 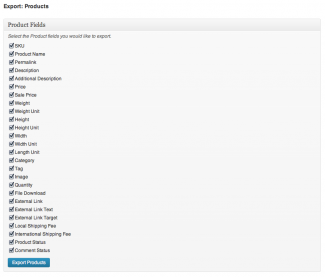 We use a few Custom Fields in WooCommerce. 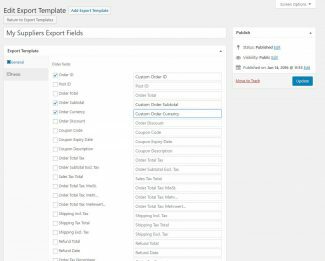 Would your plugin support custom fields in the export? If not directly, are there any indirect methods? Look forward to hearing from you soon. 1. Will the actual featured image itself be exported? 2. 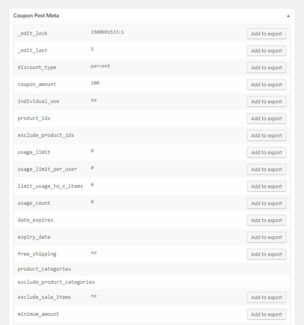 In my ‘Excerpt’ there is an image for each product (it indicates if the product has VAT relief on it or not) – will the actual image itself be included in the excerpt data? 3. 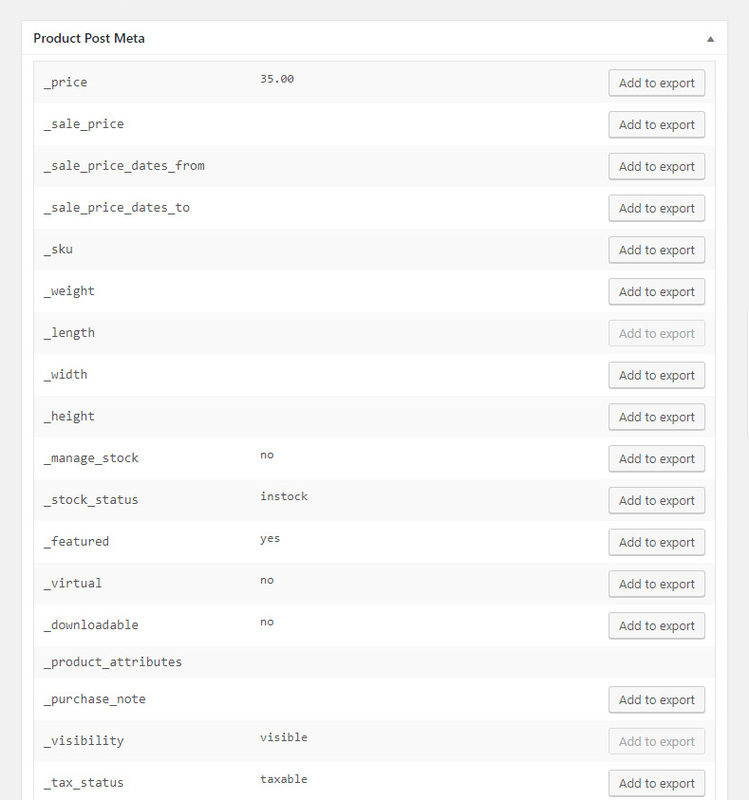 If the image in the ‘Excerpt’ is not exported there is a field in postmeta (disability_exemption) that indicates if the product has VAT relief – I assume I will be able to add this to the exported data in the ‘Custom Product Fields’ – as this does not do anything in the free version? 2. Maybe I wasn’t clear, I wasn’t aking if you could import images to my WooCommerce store but if, when I exported data, it would export a picture that was referenced in the html in the Excerpt. I am guessing though if you don’t scan the html on the way in you also don’t do this on the way out. 3. 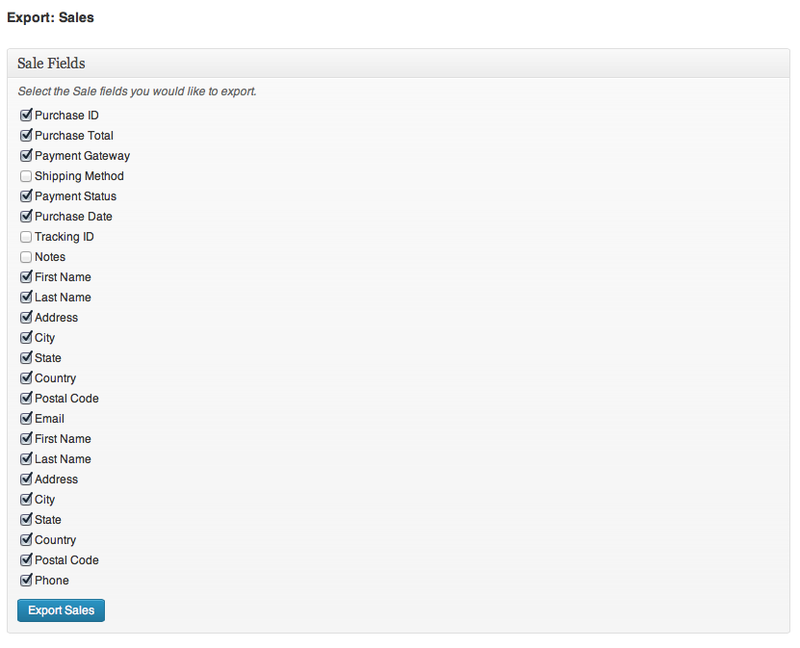 We are using the WooCommerce Disability VAT Exemption plug in so yes it is a standard meta key that Woo adds with this. We definately want this plug in. 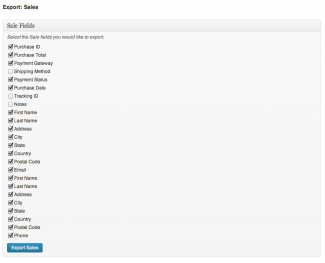 The WooCommerce meta key for disability vat exemption is called disability_exemption – it would be great if you could add this to the native export engine. How do I go about purchasing a version with this in? Thanks. 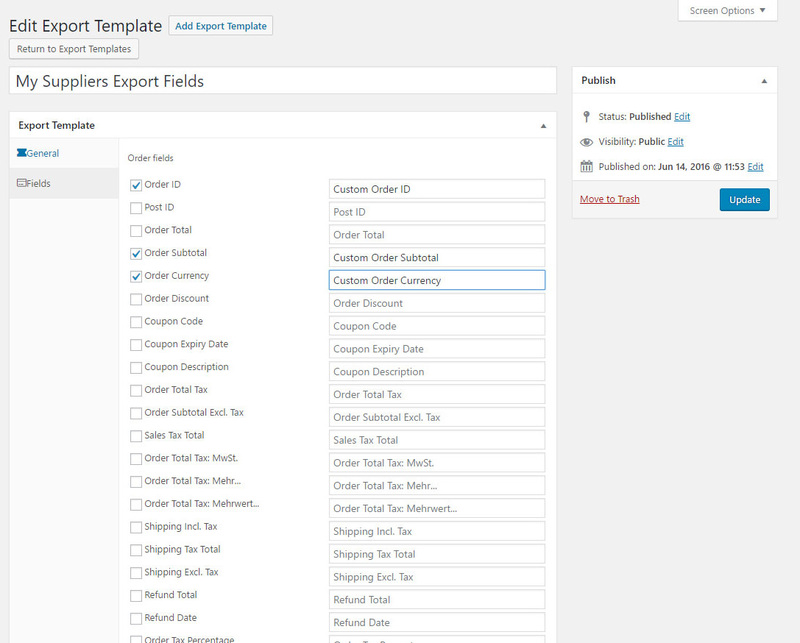 We would like to use the Store Exporter Deluxe version to export order and product reports. 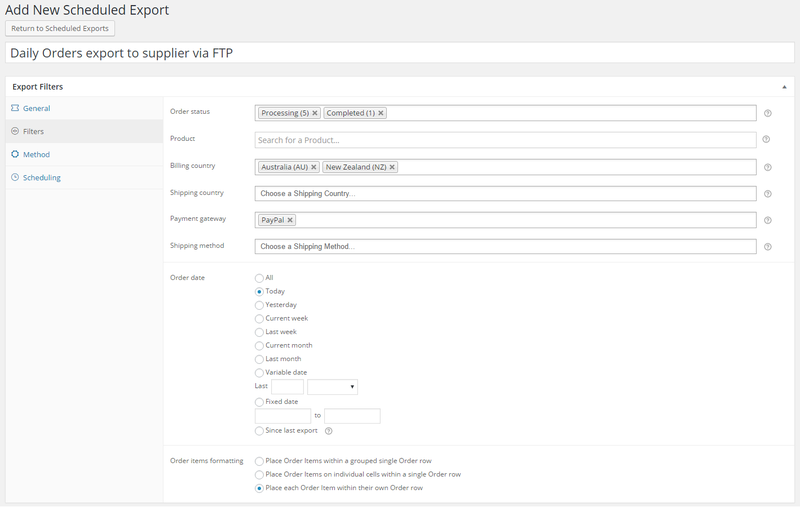 I was wondering if we are able to customize our report with fields from both the Product field and Sales fields? 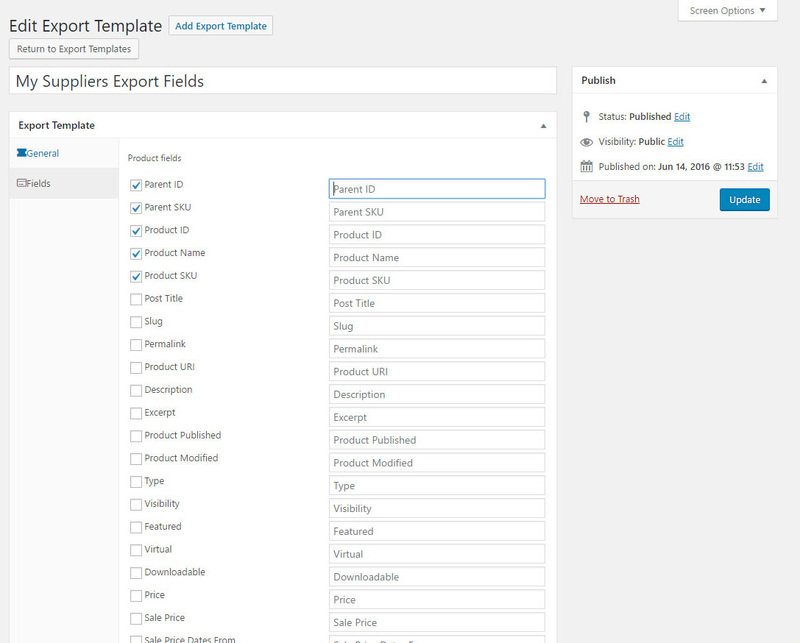 For instance, are we able to export a customer name, zip code, order total and product names? 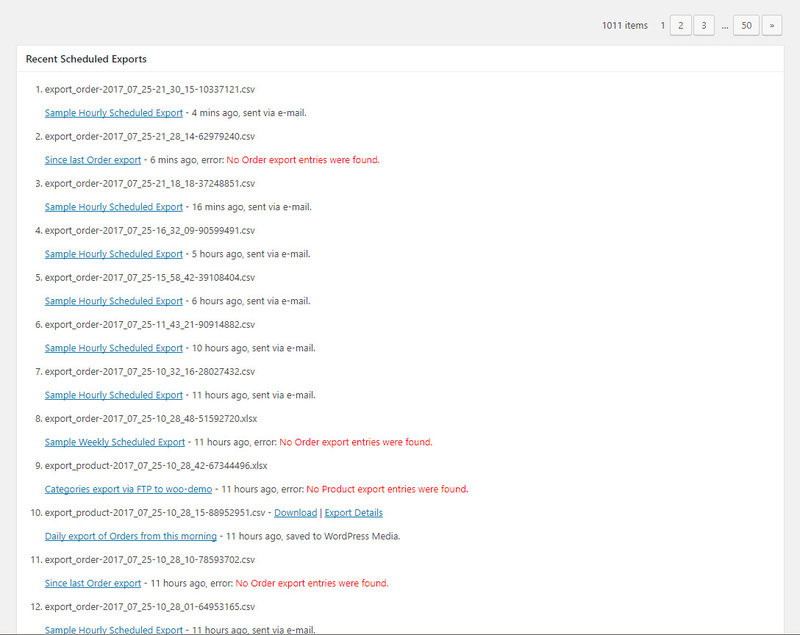 Or will the reports be limited fields within the Product reports or Sales reports? 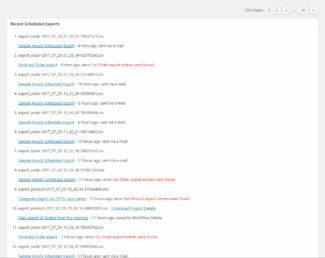 Hi Sharon, thanks for the suggestion, this kind of data collation is beyond the scope of our Plugin, we’ll be announcing a detailed reporting Plugin for WooCommerce in the near future with this level of functionality and include an export engine to get those reports into the same formats we offer here (CSV, XML, XLS (Excel 2007) and others). 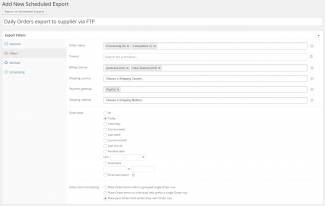 Unfortunately with our focus on import/export this quarter I can’t confirm an ETA for this Plugin but it is in the pipeline and when it is ready will be something we will be proud to offer to the WooCommerce community. Thank you for the detailed explanation. I will check back eventually to see if a custom plugin will be available for my purposes. 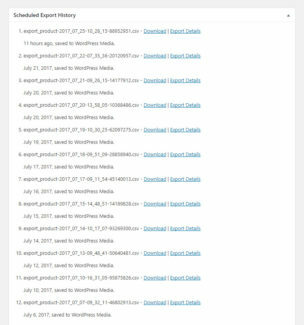 I’m wondering if your plugin does a particular function I’m looking for. I’d like to get an export of all of the customers who have purchased a particular product. This is useful when I need to do a product recall, product update, or something else along those lines. 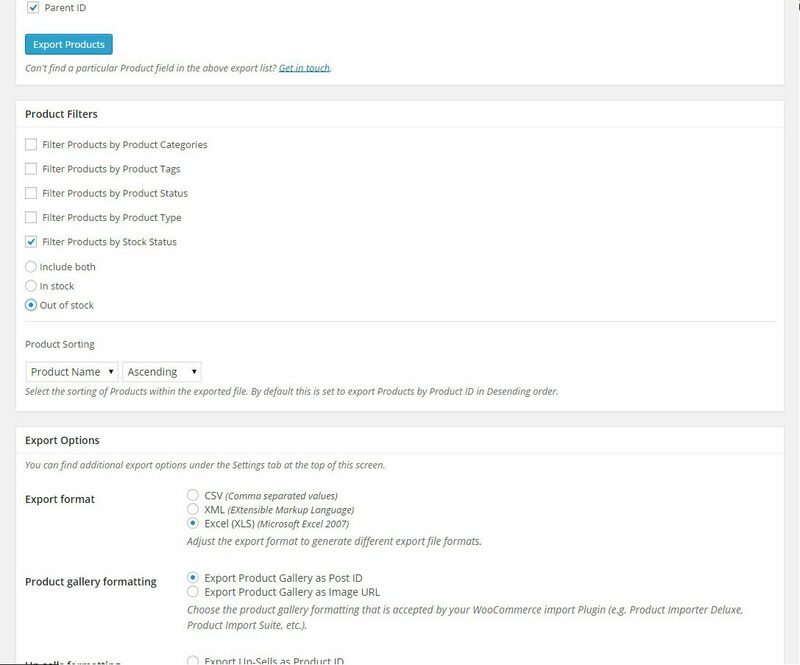 So if I have a product (“Product X”) I want to be able to export contact information for every customer who has purchased “Product X” . I do not need their other product purchases or other purchase history, I am only concerned about the relation between a certain product and the customers who have purchased that particular product. Does your plugin do this?